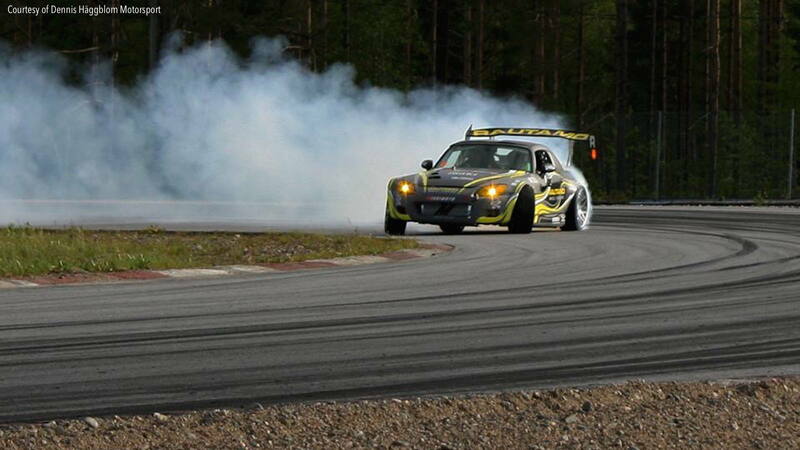 What do you mean a S2000 can't drift? The S2K is praised for its balance and handling as its 50/50 body distribution design makes it an impeccable road car. That coupled, with a tight steering rack, makes cornering stable and fun. However, these elements that help sculpt the overall performance of the car also act as a huge deterrent for drifting. Essentially drift issues have less to do with power and more with how the car enters a drift and maintains it. Aspiring S2000 drifters have overcome these issues by swapping out their steering knuckles or installing longer tie-rods, both of which increase the overall steering lock. While Professional level competitors take different routes, often installing a custom steering rack, or swapping in suspension components from other drift ready vehicles. The cars shown here have pushed the limits of what an S2000 can do sideways. 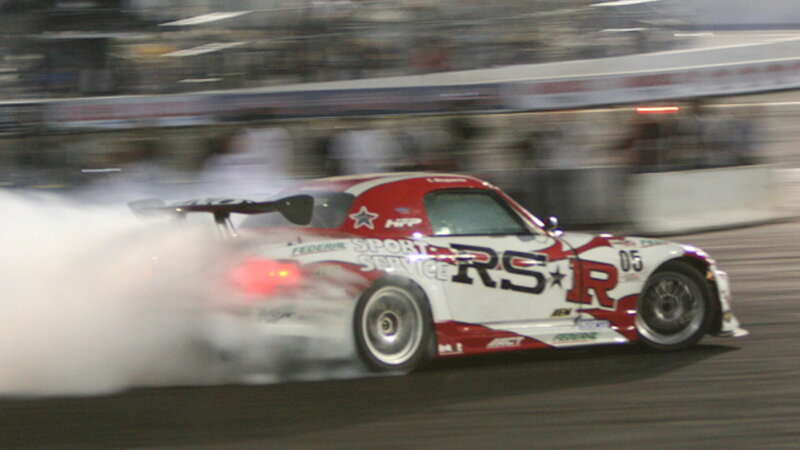 >>Join the conversation about Awesome S2000 Drift Cars right here in the S2ki Forum! Two names come to mind when we talk about drifting an S2000; Ben Chong and Gary Castillo. Ben Chong, from RS-R and Gary Castillo from Design Craft Fabrication, are responsible for creating one of the most popular S2000 drift cars. The story goes that RS-R founder Mr. Masuda wanted to get into the drift scene, utilizing a Honda platform, so Chong recruited Castillo to take on the project. The project was complicated; as they were to run across the same hurdles everyone else does which revolved around the question: How do you prevent a balanced chassis from correcting itself on turns? After testing the car with some professional drifters, they found the central issue stemmed from the Electric Power Steering system, as it dampens the wheels when turning. RS-R replaced the steering rack with an RX-7 hydraulic rack. They also relocated the battery, swapped in an F22C1, and boosted it. You can check out a complete build run through here. 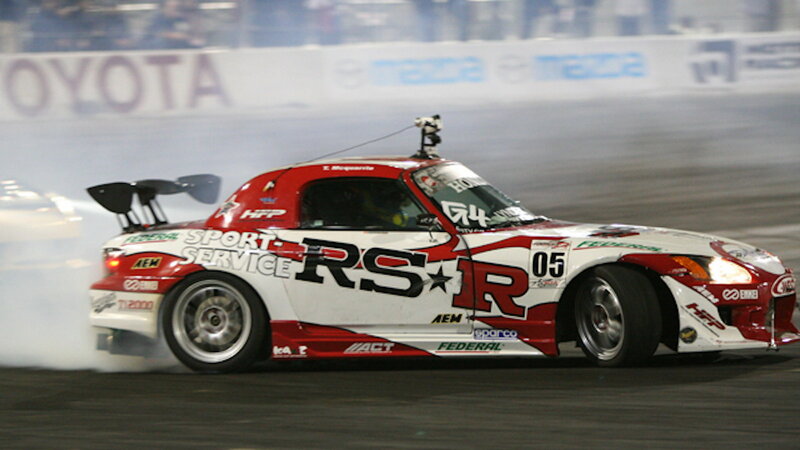 Following suit to RS-R’s build, Stephen Papadakis burst onto the drift scene with his modified S2000. Steph and his team took heed of Gary Castillo’s advice and replaced the EPI with a modified hydraulic steering rack from a Mazda FD. They also went ahead with some chassis unbalancing changes and boosted the hell out of the F20C with a Garrett GT30 turbo. AEM then tuned it to a nice 400 hp, while keeping the factory transmission with an ACT six-puck clutch and OS Giken two-way LSD. The entire car was outfitted to race. Inside you’d see a solid protective roll cage, with full fledge APEXi interior electronics and AEM gauge controller. Some nice suspension highlights include Ohlins coilovers and Comptech sway bars. Surprisingly, the body was kept reasonably stock, minus the slew of sponsors and custom paint job. To check out the rest of the build’s details, click here. Not too many people know about Finnish drifter Dennis Häggblom. He’s a pretty cool guy, owns TruckShop garage in Jakobstad Finland, and drifts an off-the-wall Honda S2000. Häggblom said he ventured on building this car because he wanted something that stood out and could compete in the professional drift competitions. With the help of his team, he created this 2JZ swapped S2000. The suspension uses custom control arms to extend the steering lock. He replaced the F-series with a boosted 2JZ engine pushing 760hp, featuring Brian Crower internals, and mated it to a NASCAR 4-speed dog box transmission. Its wide body panels were all sculpted by the TruckShop team. Video of his build process can be found here. This story starts just like all the others listed here, someone with a lot of passion for building cars wanted to show the world how well an S2000 could drift, and that person was Chris Jeanneret. Having been a part of the drifting community for several years, Chris always wanted to build an S2K drift car, and in 2014 he got the chance. He paired up with Speed Factory, found and purchase a solid S2K shell for $2,500 and starting work. The car was stripped down to bare bones and customized to fit Chris’s likings. Its steering rack was removed for a Mazda one. But, instead of opting for an FD rack, they chose to use one from an FC. It was then outfitted with modified suspension pieces, including custom control arms. One of the coolest modifications SpeedFactory did is the fully built K24 swap and features Golden Eagle sleeves, K1 rods, and Wiseco pistons. This beautiful engine was mated to a Garrett GTX4088R turbo, with a 75 shot of nitrous. All topped with Skunk2 Pro Series cams, which were positioned to always run on VTEC. While it sounds like a lot, and it is…this build surprisingly only took about two weeks to be put together. You can check out more specs on the car, along with a parts list here.